Renovating an old structure can be more challenging than simply building from the ground up, but a construction company has got to be poised to handle anything, and often that entails the updating of a beloved old structure for a new use. 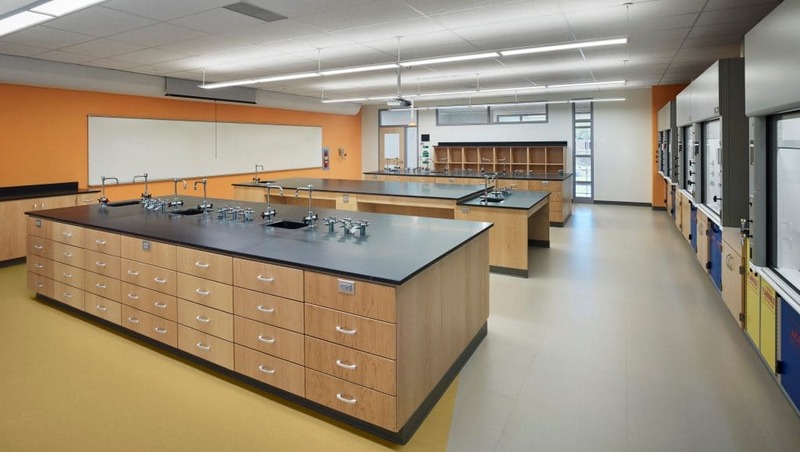 Such was the case last year when Vanas Construction Co. Inc. was awarded the contract to convert a former convent into a science and arts facility at a Catholic girls’ high school in New Jersey. A specialist when it comes to academic construction and renovation, Vanas commenced with the project in April. By September, the Academy of Holy Angels in Demarest was cutting the ribbon for the grand opening of Sister Genevieve Kelleher Hall with dignitaries on hand. That said, Vanas may have only made it look easy. 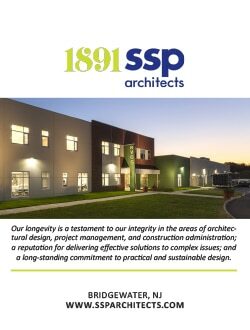 “There are always a lot of unknowns when it comes to renovations,” explains Stephanie Brex, the project manager and estimator for the company that since 1970 has been among the go-to builders for school projects of any kind in the Garden State. The challenging renovation and all of its uncertainties notwithstanding, Vanas still earned high grades, as did its frequent project partner, DiCara/Rubino Architects. The facility that once housed the School Sisters of Notre Dame now boasts a ground floor that includes a faculty office and five educational spaces—two art studies classrooms, a digital design Mac lab and two multipurpose classrooms—and a second story for the academy’s business office as well as a “heritage suite” for religious studies and the showcasing of an extensive academic archive. And, she reminds, it all was done on time and on budget, par for the Vanas course. While Vanas also performs municipal and private sector work, the company’s niche has always been education with an emphasis on K-12. It’s a major factor why Vanas is so often called back to schools where the company had aced earlier tests of construction and renovation savvy. 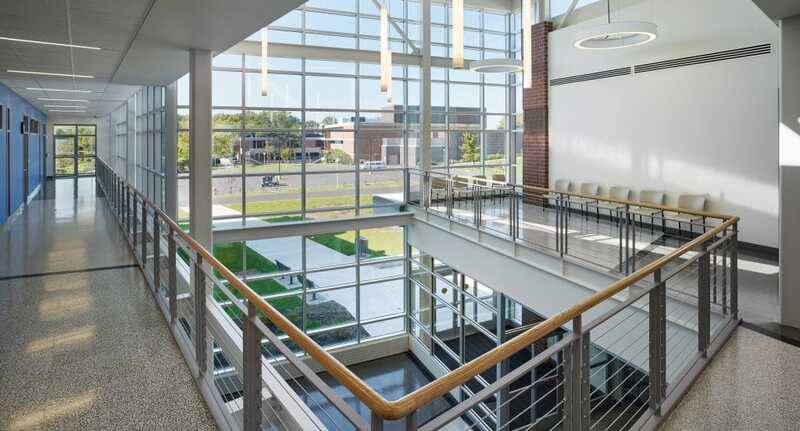 In recent years a fixture when it comes to projects at Middlesex County College in Edison, New Jersey, Vanas’ current work there involves the construction of a new vestibule for a science wing as well as the renovations of Main Hall. Work began in August and Brex expects it to be completed come June. The Main Hall project consists of a complete renovation of the 15,000 square-foot science wing and the construction of a new lobby entrance, she explains. It wasn’t quite as intricate as Vanas’ previous job at the college, which entailed the construction of a two-story, steel-framed 36,000-square-foot new science building with 14 labs. Still, involving the architectural firm of LR Kimball over the course of 16 months, that project scored a LEED Gold rating, as did Vanas’ earlier upgrade of Livingston High School, which included a new two-story science wing, music room addition, renovation of locker rooms and a new state-of-the-art physical education and athletic center. The Vanas-DiCara Rubino combo also gutted and renovated four Livingston elementary schools in a 13-month period that shows just how seriously the construction company takes its deadlines. With self-sustaining, energy-efficient buildings in demand and New Jersey’s economy relatively healthy, Vanas expects to be bidding on many contracts as more school districts and private institutions resume pursuing projects that had been on hold. It’s not just sustainable facilities they’re looking for, Brex is quick to say; security has become a matter of increasing concern. 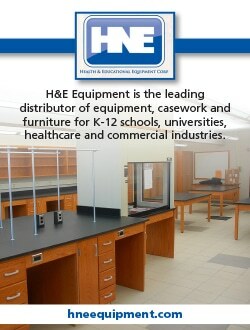 Shatter-proof windows and doors that securely lock are now necessities at any school construction or renovation. Vanas is well prepared to meet such needs, Brex says. “Teamwork and on-time completions are the hallmarks of our success,” says Brex. “It’s the definition of success,” says Brex. And there’s nothing quite like seeing the results of a project. “It’s so fascinating to see an empty lost become a new facility and know that it couldn’t have happened without the efforts of your team,” Brex says.